Flamingo Beach Tote Bag. When you see a flamingo, thoughts turn to the sunshine and the beach. This cute beach tote with coral flamingoes will become a favorite. Perfect individual size for all the day's beach or vacation necessities. Lightweight with a mesh body will make this tote bag ideal for the beach. A flamingo design on top band and handles. 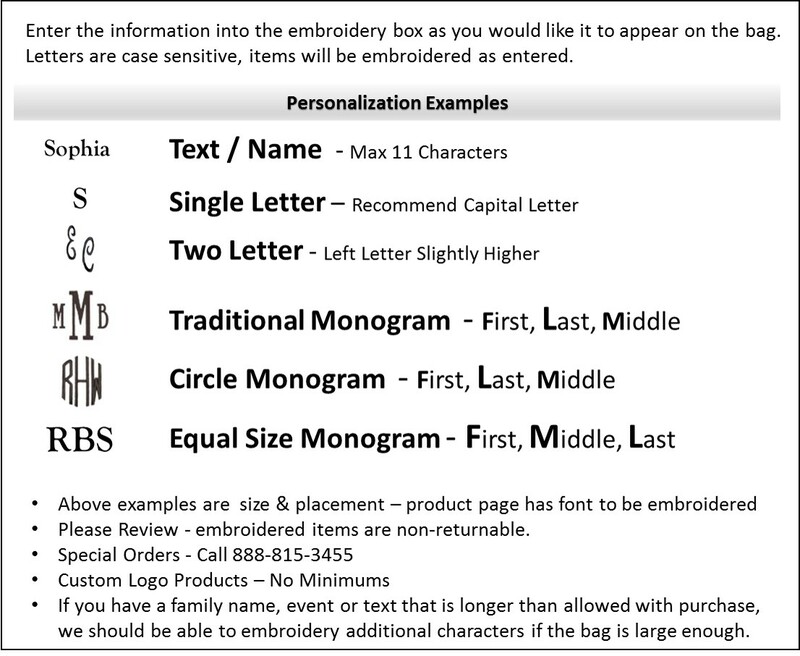 Add a personal name or monogram in your choice of thread colors. Flamingo beach tote bag measures 17"W x 14"H x 8" across the bottom. Zipper closure.